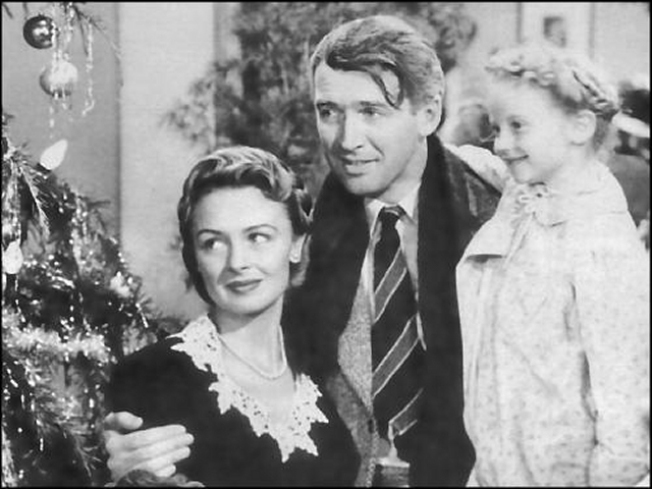 REVISING HISTORY: Hard to believe now, but It’s a Wonderful Life was a bit of a flop when it came out in 1946, and cast its director, Frank Capra, as something of a liability in the movie business. The IFC reprises its annual run of the holiday classic, which deserves to be seen on the big screen. Schedule varies; through December 26. Mary Owen, the daughter of actress Donna Reed (Mary Hatch), will appear in person at the 7:55 screening tonight and tomorrow. TRIP THE LIGHTS FANTASTIC: Some of our favorite New York City-at-the-holidays experiences aren't buzzed-about all over town, and that list definitely includes the Kaleidoscope Light Show at Grand Central Terminal. You'll be thinking of a thousand things as you rush to get on your train, and all of a sudden the Main Concourse will transform into a magical winter wonderland, with a swirling light show of stars and snowflakes, all set to a sweeping holiday soundtrack. Kaleidoscope Light Show at Grand Central Terminal's Main Concourse, 11AM to 9PM daily through January 1. STOCKING, STUFFED: Target Free Thursdays at the David Rubenstein Atrium at Lincoln Center welcomes the excellently throwbacky soul outfit the Sweet Divines with guests Maxine Brown and (be still our retro-loving hearts) Eli "Paperboy" Reed for a night of Christmas themed rhythm and blues. And? It’s free. The Sweet Divines' Holiday Soul Spectacular is at 8:30 and 10:30PM.